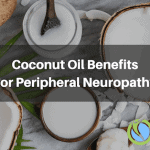 At this time, many doctors and individuals are still having trouble when it comes to fully understanding the concept of neuropathy and peripheral neuropathy. Since literally millions of people suffer from some form of neuropathy, either as a result of diabetic problems, or as a result of injury to the nerves, it’s worth having somewhere that you can go to answer some of your most pressing questions about nerve damage conditions. What Areas of the Body Are Affected by Peripheral Neuropathy? What Is the Progression of Symptoms for Peripheral Neuropathy? Why Does Neuropathy Affect the Feet First in Many Neuropathies? 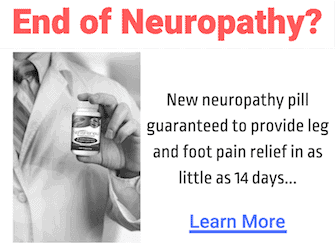 Is There Anything That Will Cure Any or All of the Neuropathies? Answer: It’s hard to identify peripheral neuropathy as a single disease. Rather, most experts use it as a general term to refer to a series of disorders that can result because of damage to the peripheral nervous system. This system sends messages from the spinal cord and brain to the remainder of the body, including the feet and legs, hands, and arms, joints, organs, and even the skin. Peripheral nerves are also responsible for relaying information back to the brain and spinal cord from those various places. The symptoms of peripheral neuropathy take place when the nerves are destroyed or damaged. Peripheral neuropathy has something of a variable course, and it can come and go, progressing slowly over a number of years. However, if it is diagnosed early, peripheral neuropathy can be controlled, and even cured in some cases. Answer: There are a number of different things that might cause peripheral neuropathy, including hereditary disorders, diabetes, inflammation, autoimmune disease, infections, compression, protein abnormalities, and physical trauma. Some people experience neuropathy as a result of poor nutrition, alcoholism, or exposure to certain medication, particularly those used in chemotherapy treatments for cancer. However, in some cases, even with an in-depth evaluation, the causes of a person’s neuropathy may remain unknown. Answer: Literally all of the areas within the body, apart from the central nervous system and brain, can be affected by peripheral neuropathy. Think for a moment about which parts of the body don’t have peripheral nerves, and you’ll come up with nothing more than the central nervous system and the brain. In other words, your neuropathy problem can impact everything from the vascular system, to the digestive tract, and more. However, most commonly it appears in the extremities like the hands and within the feet or legs. Answer: While each person is likely to experience peripheral neuropathy in a different way, there are some common signs and symptoms that can be associated with this condition. For instance, at first you’re likely to experience abnormal sensations, pain, tingling, or numbness in certain parts of your body. Some people feel as though they have socks on even though their feet are bare. Over time, the feeling can spread from your feet to your hands and legs. In some cases, people with peripheral neuropathy find it harder to walk normally because their legs feel heavier, and they need to drag themselves up and down the stairs. Sometimes, they may notice that they begin to lose their balance, or struggle to figure out where their feet are in conjunction with their legs. As for hands, some people find that even when they think they have a good grip on something, they end up dropping them straight away. The signs and symptoms of peripheral neuropathy can often vary in how they begin to appear. Some neuropathies come on all of a sudden, whereas others appear gradually over a number of years. There are three types of peripheral nerves that can be affected, and the symptoms will depend on these nerves and their location. For instance, your sensory nerves will affect sensation, whereas your autonomic nerves affect internal organ function, and your motor nerves affect muscles. Answer: Neurologists call this issue the length dependent affect. Basically, if you think of your body as a string of wires that carry electricity, it will take more energy for the current that starts at the top of your head, in your brain, to reach the feet, because of the length of wire that needs to be travelled. In other words, this means that there is more push required in getting signals from the brain to the feet. If there is damage along the lines of the nervous system, chances are that the feet will feel the impact before other areas in the body. Of course, in some less than typical forms of neuropathy, other parts of the body may be impacted first because of the location and causes of the damage to the peripheral nerves. Answer: Importantly, it’s worth noting that some forms of peripheral neuropathy can be cured, but some can also not be cured. However, it’s also important to know that many patients can help their symptoms by taking a range of different treatments. Therapies for peripheral neuropathy are often directed towards treating the underlying cause of the problem with the right medications. For instance, someone who experiences peripheral neuropathy as a result of diabetes may need to work on managing their diabetes and blood sugar level before trying any other form of treatment. However, with that in mind, recent research has begun to show some positive results when it comes to tracking down treatments for neuropathies. For instance, supplemental products, such as Nerve Renew, have been proven to help not only in reducing the symptoms associated with neuropathy, but also in helping to repair the damaged nerves. The reason for this is that vitamins and nutrients, such as B12 and alpha lipoic acid, are very effective when it comes to repairing the pathways in nerves and helping to promote the reduction of symptoms. When used in the right combination, an array of vitamins and supplements can help to reduce the most common symptoms associated with neuropathy, from the burning and searing pains that are sent by misfiring nerves, to the tingling and numbness that can occur as a result of damaged nerves being unable to pick up sensation as they should.